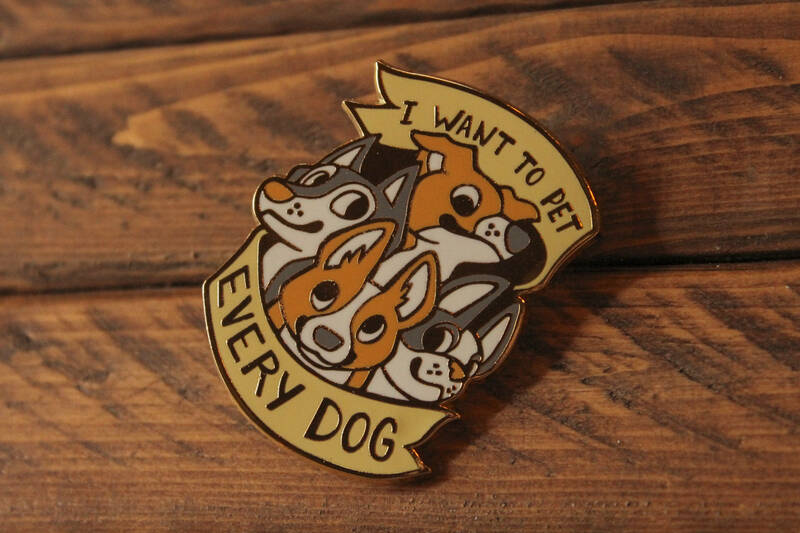 A dog-themed enamel pin to show your enthusiasm for every pup! "I want to pet every dog" measures 2" and has two posts on the back for safe fastening. It's plated with gold. 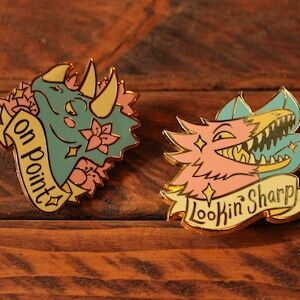 Cutest pin ever! Bought one for my sister as well as for myself since we both love dogs. 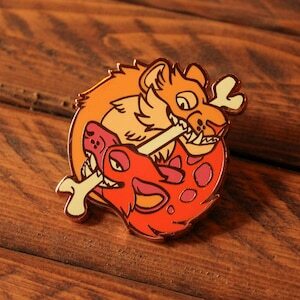 The pin is well constructed and has two fasteners to ensure it stays put and never spins. Thanks for the quick shipment! 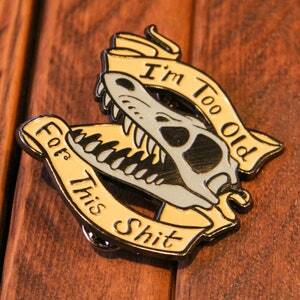 Overall cute design but in actuality the color of this pin was much more muted and gold than rich in color. All of the dogs had similar muted shades of color instead of distinct warm tones as shone. Wish I had taken a pic to show before giving as a gift. 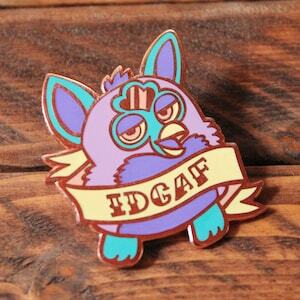 Such a great quality pin!